There are many moments that rattle a company’s core. Something like the 9/11 terrorists attacks in the U.S., a tsunami in Asia, a volcano eruption in Europe, sourcing conflict minerals from African mines or a global recession could severely hurt supply chain operations, revenue and branding reputation for many quarters. In the aftermath, assurances that a proposed action plan would hold up to the force of the blow fade. Executives learn that critical parts will be in short supply, inventory buffers dwindle and manufacturing lines are idled. Getting back to normal will be a few months away, if you’re lucky. This is usually, too, when people turn conversations back onto the importance of business continuity planning and set out with a “never again” missive to avoid future disruptions. The initial knee-jerk reaction to a disruption, however, doesn’t often go far enough. While business continuity plans are essential, they are not what most people think they are–they are not simply instruction manuals about how to respond when something goes wrong. They are important indicators for identifying supply chain, operations and financial weaknesses, risks and gaps. Push for proof. Be the executive that asks the hard questions about supply chain gaps and where trouble spots lie within the supply chain. Proactively stay on top of what’s happening beyond your first-tier supplier base. Push to ensure different visibility and risk management models are developed to keep businesses moving through a disruption with as little damage as possible. Assign responsibility. Pass up the urge to assume someone else in the organization or supply chain will be aware of a possible risk and know exactly how to respond when a crisis hits. Just because visibility is a supply chain mantra today doesn’t mean everyone is looking through a clean lens or seeing the whole picture. Define roles and responsibilities about how risk is assessed, monitored and flagged and spell out who does what at certain points in the process. Take a three-fold approach to monitor, plan and protect. Go beyond preparing for a disaster. Start with the idea that a disruption is likely to happen and know how disruption could affect sourcing of both high-cost and low-cost parts necessary for your product’s production. Map multiple tiers of suppliers and their sites. Track events as they happen, and cushion the supply chain with a mitigation strategy aimed at safeguarded revenue and profit over the long term. All sorts of events can shake up the supply chain, pretty much at any time. A business continuity plan gives companies steady ground to stand on while they use their resiliency to swerve around obstacles being thrown in their direction. 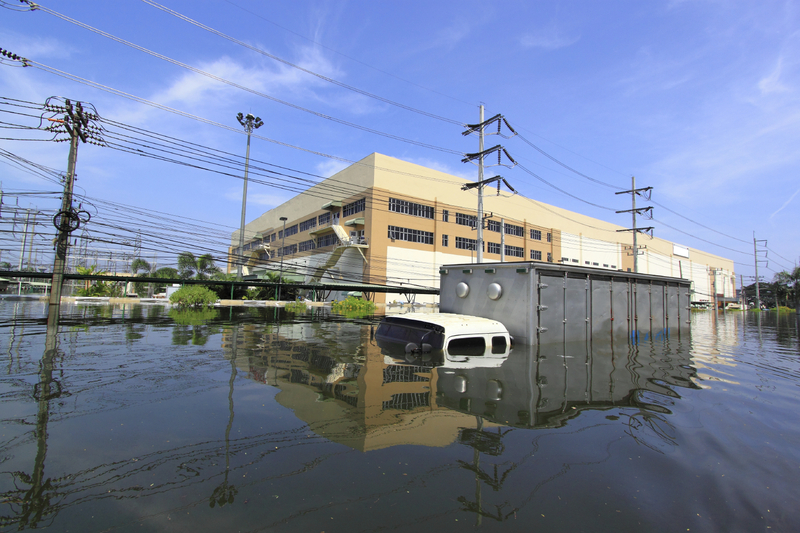 What kinds of supply chain resiliency elements are you building into your business continuity plans? Looking for additional insight about how to build resiliency into your supply chain? Click here to learn more about what other companies are doing.